Billy Crudup stars as an ad executive who is picking up the pieces from a life torn in pieces by the death of his son. In this tailspin, he discovered a box of his late son’s demo tapes and lyrics. Shocked by the discovery of this unknown talent, he forms a band and performs the songs to live out his son’s dreams in the hope of finding some cathartic release. ‘Rudderless‘ features Anton Yelchin as one of Crudup’s bandmates, other stars include Selena Gomez, Felicity Huffman and Laurence Fishburne feature in the cast in support roles. Huffman’s real-life husband William H. Macy directed the ensemble which premiered at the 2014 Sundance Film Festival in January. This is Macy’s directorial debut and will open with limited release on October 17. Macy is a well-decorated thespian with an acting resume going back into the 70’s. He’s currently seen on ‘Shameless‘, the american transplant of a british dramedy. Take a peek at the first trailer to be released. 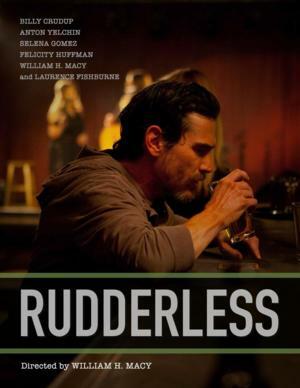 “Rudderless” will open in limited release on Oct. 17. This entry was posted on Friday, August 15th, 2014 at 3:56 pm	and is filed under Film, News. You can follow any responses to this entry through the RSS 2.0 feed. You can skip to the end and leave a response. Pinging is currently not allowed. « Is ‘Bad Boys 3’ Heading Into Production?!! !